I started a while ago a special play list at my YouTube channel SACReleases, which showcases over 400 videos (as of now and growing) related to the demo and art scenes already, to highlight the best demos across all computer platforms over the past 18 years.?? I called it the ?? ?Demoscene Marvels?? ?, because I think that those productions are indeed marvels that should not be forgotten. The first production in my marvels list is from 1991 and the latest on from 2009. If you thought that the old 8bit and 16bit classics are dead, think again! The last demo from the Commodore 64 in my marvels list is from 2007 and the last Commodore Amiga production in this list is from this year. Surprised? The list includes 69 videos as of today, representing 61 different demos and intros from the Commodore 64, Commodore Amiga, MS DOS PC and Windows 32bit. The list is useful for oldskool demosceners who might have missed a few productions over the years and also for newbie?? ?s to the subject, who would like to get a picture of the productions that were created by scenes around the world for the simple reason that they can. I listed the productions in chronological order that you are able to see the progression and advancements made by the demo scene over the years. Obsoleet by Unreal Voodoo – PC Demo (2004)?? Additional content to the subject that I can highly recommend can be found at the following previous blog post of mine that I posted over the past few years. I also recommend checking out the links section on my main web site. 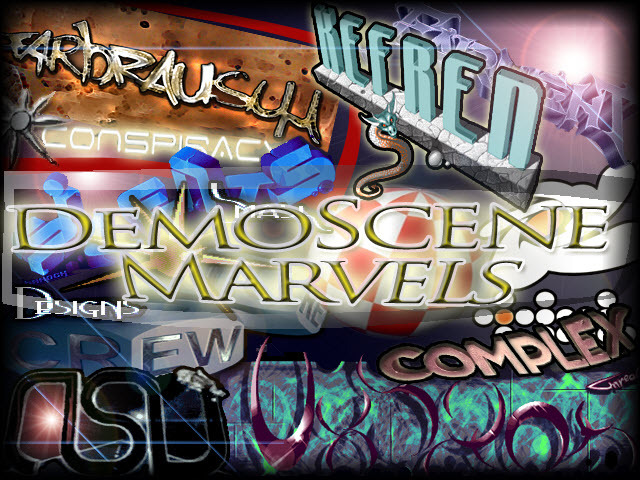 There you can find tons of resources, repositories, archives, forums and other good stuff related to the demoscene and everything else that surrounds it, such as the artscene or tracker music etc. Take a step back and enjoy the trip back in time. There is nothing you have to do but sit back, watch and listen. I hope that you will enjoy my little collection that I put together over a long period of time. Did I miss some great productions that MUST be included in my marvels collection? Let me know! Use the comments section below to leave a note. I?? ?d appreciate it.